Lamborghini is a respected name in the automotive industry founded by wealthy Italian businessman, Ferruccio Lamborghini in 1963 with the objective of competing with the industry’s best cars, notably the Ferrari. Luxury sports cars by Lamborghini are memorable both for their elegant (and even shocking) designs and solid motor engineering. The top 5 Lamborghini are the epitome of luxury and speed while still maintaining the characteristics of a regular road car. The 350 GT was the first car in the production line of Lamborghini and as such, deserves a place in the top 5 Lamborghini of all time. It was well received at the Geneva Auto Show in 1964 and was the real competition of Ferrari at that time. The car could reach 254 km/h or 158 mph. Its original prototype was a 3.5-litre V12 engine meant for racing, so engineers Dallara and Wallace modified it to come up with an engine for street use. The result was nonetheless impressive and until 1965, it continued in production with a total of 120 cars sold. Miura S features a unique V12 4.0 litre engine and eyelashes. It could well be the forerunner to the 350 GT. Lamborghini’s engineers convinced Ferruccio that a street car capable of winning on the tracks and could also be driven by enthusiastic drivers is an asset. With this spirit in mind, the Murcia was born in 1967. Its style and design would later become the standard for a high-performance, mid engine, two-seater car, a trend that is popular nowadays. As of December 1967, 108 cars were bought. The Espada, released in 1968-69 can well be the best selling edition in the Lamborghini line of all time with around 1,217 units sold over its 10 years of production. It is powered by a 3.9-litre V12 engine producing up to 325 bhp or 242 kW. Countach is a legend on its own being the first car to achieve the “300 km/h wall” when it was sacrificed at a crash test. This striking or even outrageous car has legendary scissor doors and an uneven wedge-shaped or trapezoidal form. Due to poor rear visibility, reverse parking is done by opening the doors. Praised by everyone except automotive engineers for its outrageous design, the original prototype LP 500 was fitted with a 5-litre displacement engine and subsequent production units had 4.0-litre (3929 cc) 375 PS engine. Top speed for a “5” supposedly clocked at 315 km/h (195.8 mph) or 323.6 km/h (201.1 mph) such as the Countach of Wolf F1 Racing Team's owner. And so the fame of the Countach continues with the release of the Murciélago, with its scissor doors and low slung body. Fitted with either a 6.2L V12 or 6.5L V12 engine, it was first introduced in 2006 as a 2-door, 2-seater sports car. At this time, Audi owns the Lamborghini company. 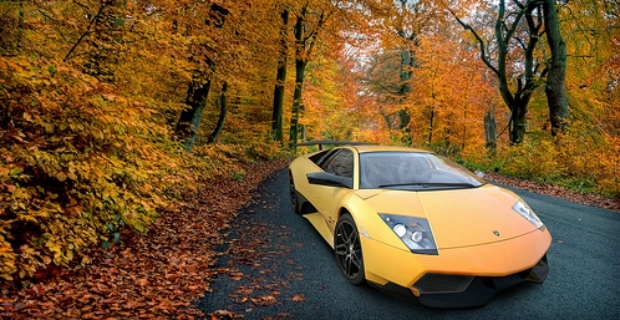 Nowadays, the name Lamborghini is still synonymous with elegance, opulence, speed, and performance. 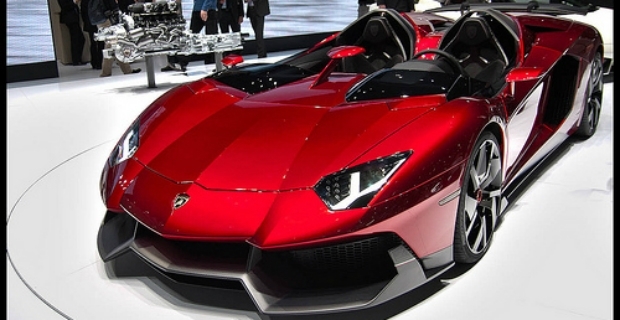 The Aventador, Gallardo as well as limited and special editions of modern Lamborghini cars are all exciting. There's even the Urus for everyday use. But, the top 5 Lamborghini will always have a special place in the hearts of enthusiasts and engineers with their remarkable power, elegant style and impressive technical engineering.